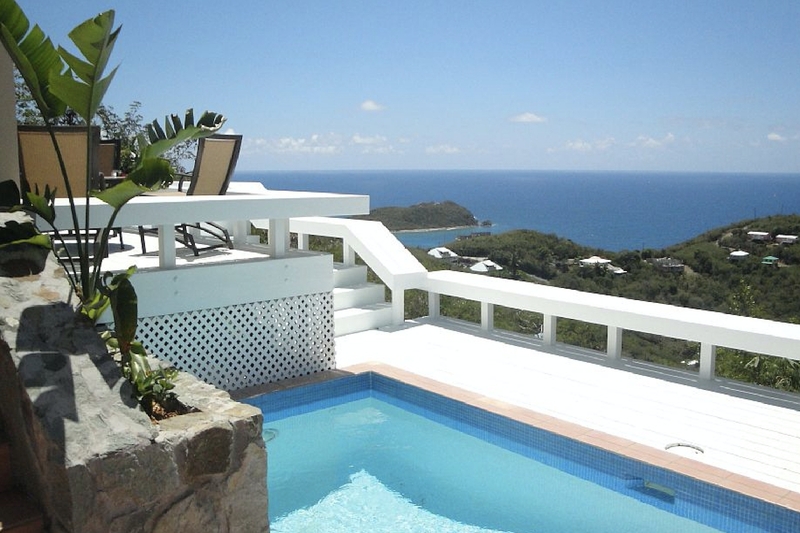 Magic View Villa is the perfect Caribbean vacation home for honeymooners or two couples traveling together. The unique floor plan divides the villa allowing for privacy when it is desired. Outside, there is a refreshing pool and sundeck, as well as a table and chairs for alfresco dining with a view - and a stunning view at that! The villa overlooks the waters of Cruz Bay and the surrounding tropics, and town isn’t too far away for those who want to see the sights of St. John. Located 400 feet above the Caribbean Sea, Magic View Villa sits hillside overlooking Rendezvous Bay and St. Thomas. Offering two bedrooms (both with en-suite bathrooms), this charming home promises peaceful mornings, fun-filled days, and spectacular sunsets. Magic View Villa will impress you with its island living design - separate cottages house the Great Room, the kitchen, and the bedroom suites - all connected by the expansive deck. The luxurious furnishings are new and extremely comfortable, and the Great Room with its flat screen TV, WiFi, and wet bar makes entertaining easy. The constant island trade winds help to keep guests cool, although there is AC in the bedrooms and Great Room for added comfort. There is a fully-equipped kitchen for those who enjoy cooking, however Magic View Vila is also an easy ten-minute drive from Cruz Bay where restaurants and the beautiful St. John beaches are easily accessible. Featured on HGTV’s House Hunters International! Welcome over 8 years please. Maid Service upon request. Stays of less than 7 nights require a cleaning fee of $75 + tax. This property was perfect for what we needed and the views were breathtaking! We really enjoyed staying at this villa on the island of St John. The view was probably the best we had seen while on the island. It had everything we needed when visiting the beaches (beach towels, beach chairs, coolers, etc.). We will be back! 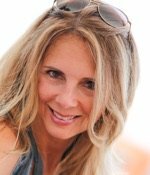 Shawna with WhereToStay is great, she was very easy to work with. We loved this villa and the views. Make sure you pack a pair of binoculars! The villa is well laid out, private and super comfortable. It is a short drive to town and the grocery store. The road is steep but worth it for the views! Beach chairs, towels and beach bag are all top quality. The house is equipped with good wifi. Verizon cell service does not work anywhere on the island. Excellent working with Shawna. Love that it is all electronic. View was awesome! A few drawbacks, but overall a good choice for the money. We enjoyed the villa’s beautiful view at night and during the day. Magic View was not hard to get to, since the roads were paved. It has a good location, since it’s just a short drive from town. It’s been remodeled nicely, and has pretty decor. Nice towels and things for the beach were provided, and the beds and pillows were comfortable! Overall, I enjoyed the place and loved the island, which we explored most of the day! Shawna is awesome! She was very helpful, friendly and prompt.